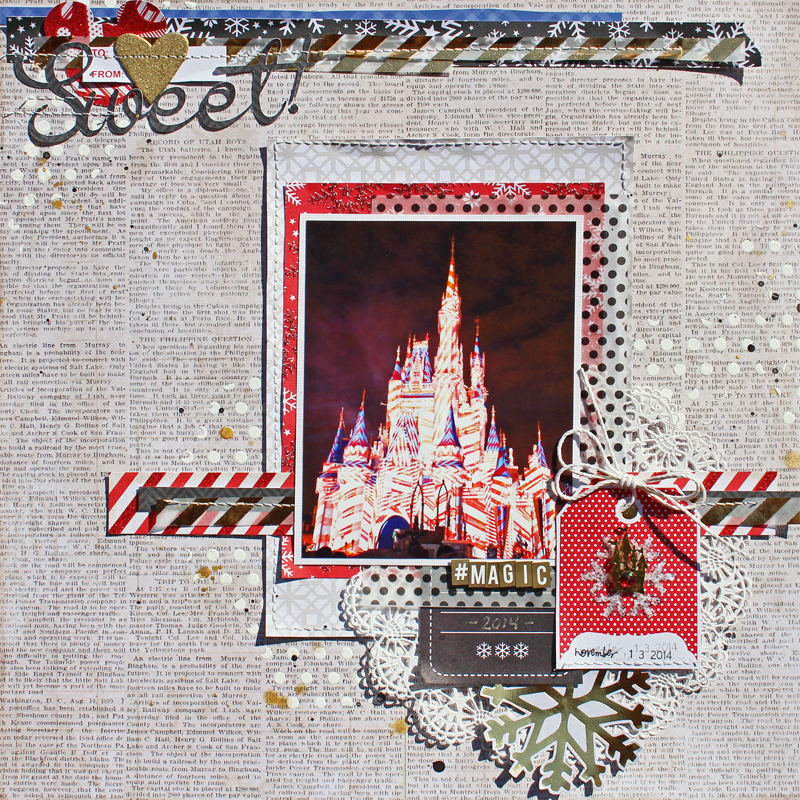 Yep, another holiday layout. I guess I figure that photos taken during holiday times or like these from vacation during holiday celebrations, will have to be scrapped after the holidays and with the numbers I have, probably for a couple of years so you can expect to see holiday pages from me thru the year. 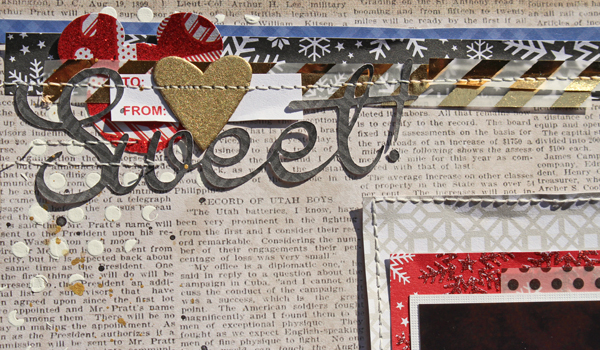 For this page I used the DCWV Candy Cane Lane Stack along with the Foiled Vellum 6x6 stack, and a couple of pieces from the Sparkling Holiday Stack. This page is way better in person, but for some reason I just could not get a good photo, partly because I kept angling the camera to try to show the gold accents. For the dots on the background I use a dotty DCWV stencil with some gesso and then splattered a bit of black and gold mist. 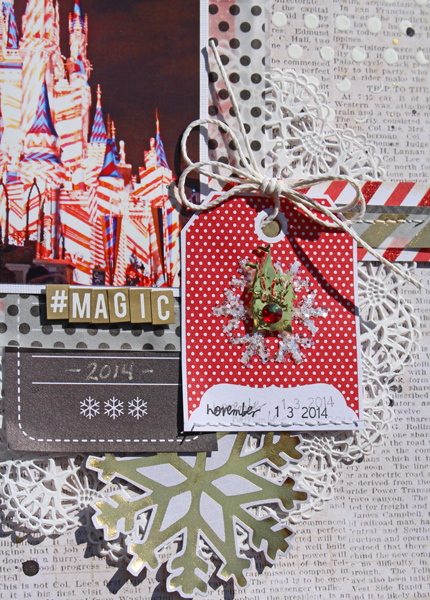 The tag is cut from one of the papers and then I added clear glitter to the snowflake shape and mounted a gold Castle piece of confetti from my trip in the center, then added a red DCWV Gem in the center. I love the stitching over the layers on this!